When I was first given this task I really wasn’t looking forward to it because I don’t like photographs being taken of me, let alone taking photographs of myself that aren’t selfies on a night out. I was originally going to shoot some of my possessions or the spaces that I inhabit the most, however, I felt that this was a bit overdone and a little bit of a cop out just because I don’t like photographs of myself. I didn’t know what I wanted to say about myself at first but then I thought about what makes me and when I am at my most comfortable. I have always loved spending time at home and over the christmas break I knew that this was where I wanted to shoot my self portrait. I wanted to use natural light because I didn’t want it to look like something that was overly composed because the whole point of the image was to show myself as being comfortable in my home environment and not overly posed or using dramatic composition or lighting within the image. 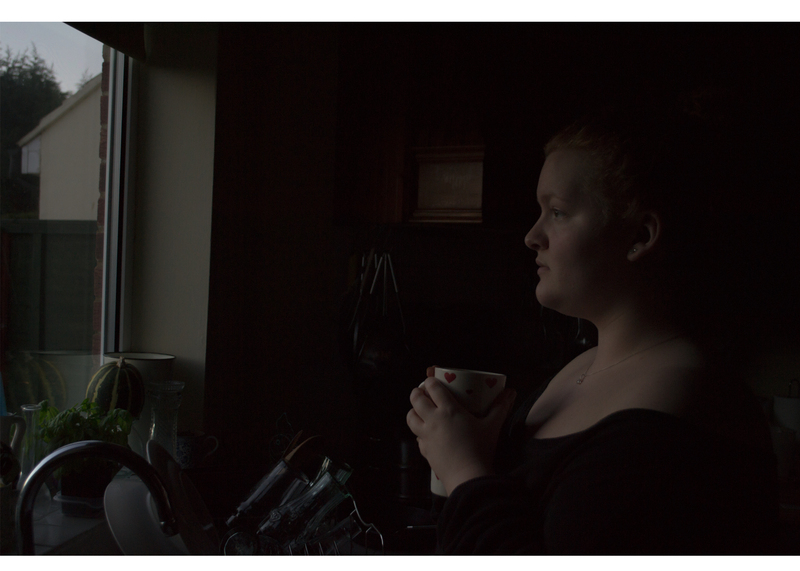 The lighting is minimal and a bit dull to try and show one of my favourite times of the day where the light comes through my kitchen window, however, I think that this hasn’t worked as well as I hoped because it has come out a bit too dark. However, as I didn’t want to be a massive part of the image I did want to keep myself in the dark slightly to try and hide myself slightly. Overall, I am quite happy with the image because I think that it shows me as being comfortable because of the almost dull aesthetic of it not over-exaggerating anything. However, I don’t really think it says much about me as a person but instead just shows the space that I feel comfortable in. If I was to take the image again I think I would use a less busy environment and just try to keep myself as the main focal point with a plain background that doesn’t distract the viewer from what the images is supposed to be about; me.